The USENIX Lifetime Achievement Award ("The Flame") recognizes and celebrates singular contributions to the USENIX community of both intellectual achievement and service that are not recognized in any other forum. Eddie Kohler receives the 2018 award for developing HotCRP, for enhancing and supporting HotCRP over these past many years, and for unsurpassed responsiveness in the face of tight conference and program committee deadlines. Every member of the USENIX community, as well as the greater systems community, has reaped the benefits of Eddie Kohler's HotCRP system. While there exist other conference management packages, none have been designed with such care and attention to the needs of the program chairs, committees, and authors. One extremely gratifying property of HotCRP is that, in the process of running a PC, but also participating in PCs, whenever one thinks "it would be nice if HotCRP did X", invariably HotCRP is already doing X, or Eddie is implementing X within minutes of the suggestion, has tested it, and deployed it, and X is now live. This latter example of on-line feature enhancement in fact has happened in multiple PCs, most recently for OSDI 2016. Eddie is responsive via email not just to program chairs, but also to regular committee members experiencing issues and difficulties---overwhelmingly, his responses are timely and helpful, and they are accompanied with quick bug fixes when necessary. The richness of features coupled with economy of functionality and elegance of user interaction is staggering. For example, learning to navigate the search features is fast, is supported by excellent examples, and becomes practically second nature within minutes. Many of us wish our company's products exhibited this consistently high level of well-thought-out design and quality. HotCRP has also become the gatekeeper for best practices in conference reviewing. Features such as review tokens and per-paper administrators allow for truly anonymous handling of program committee chair papers. HotCRP's very design encodes reviewer and author anonymity. Its configurable review forms allow the community to ask reviewers to address specific questions leading to more balanced and well-mannered reviews than simple free-form text fields. Tagging capabilities, various scoring functions, and the meeting tracking feature encourage program committees to adhere to best practices and allows the meetings to proceed in an efficient fashion. Were it not for HotCRP, it's unclear how the systems community would be able to manage the large number of submissions our conferences currently receive. The fact that HotCRP handles our current load gracefully is a testament to its careful design, ongoing maintenance, and outstanding support. In addition to its use for conference management, HotCRP has become a mainstay in our teaching. Many faculty use it to manage paper summaries for courses that they teach or for paper reviews in graduate courses. Perhaps Eddie's contributions are best summarized up by Gernot Heiser, "You only really get to understand how essential HotCRP is when you’re stuck in a PC where they are using something else. But as a PC chair of a conference with 200+ submissions I couldn’t imagine surviving without it." 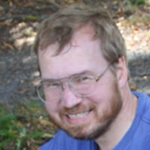 Tom Anderson has worked tirelessly to build a thriving research and USENIX community around systems building and experimental research. Tom is the embodiment of USENIX values and has carried the community forward as much as anyone. Tom receives the USENIX Flame Award for his work on mentoring students and colleagues, constructing educational tools, building research infrastructure, creating new research communities, and communicating his substantial understanding through a comprehensive textbook. 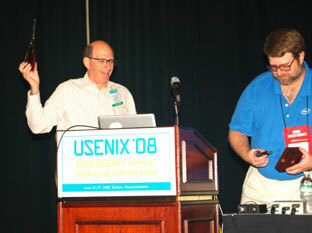 John Mashey receives the USENIX Flame award for his contributions to the UNIX community since its early days. He has made contributions to rigorous, disciplined systems evaluation, particularly the SPEC benchmark suite. Mashey worked on the Programmers Work Bench (PWB) and the UNIX operating system, including the creation of the PWB shell (or Mashey Shell). John has given over 500 public talks on software engineering, RISC design, performance benchmarking and supercomputing and is currently a trustee of the Computer History Museum. Dan Geer is a man we are all glad to call collaborator, counselor, mentor, and friend. He has spent many years building and supporting our community, and we continue to benefit from his ongoing commitment. From the days of MIT's Project Athena and Kerberos, through the "monoculture" discussions, to his primary work as a risk management specialist and computer security wizard, Dan has been a professional leader, willing to take a principled stand and able to get results. When Dan is not writing papers showing us the issues inherent in choices that have been made, testifying before Congress, or consulting for his clients, he thinks about the bigger picture in an always coherent way that takes in all the interesting details. Ever a true gentleman, Dan educates with a deft hand, so that one goes away both refreshed and enlightened. The USENIX Board, the community, and his friends have all experienced this subtle process many times, and we love him for it. The USENIX Lifetime Achievement Award recognizes and celebrates singular contributions to the UNIX community, of both intellectual achievement and service, that are not recognized in any other forum. This small token of appreciation is to say, "Thank you, Dan. You have been selfless, and we are all the better for it." Ward Cunningham has always been a computer scientist on the cutting edge of programming, with a remarkable ability to see the future. His work has focused on the art of programming and helping people do things in a better, speedier, more "agile" way. While others in the community were arguing C vs. Pascal, Ward was experimenting with object-oriented programming, developing Extreme Programming and pattern languages. Realizing that the most significant projects are developed collaboratively, he began to consider how to facilitate communication in collaborative work. The result? His most famous and perhaps his most lasting contribution: the invention of the first wiki, which he called the WikiWikiWeb after the Hawaiian word for "fast." The late Professor Gerald J. Popek was one of those rare folks who always seemed to have been around at the right time with the right ideas. He will long be remembered for his research into system virtualization and distributed operating systems. In the mid-1970s, Jerry, along with Robert P. Goldberg, proposed a set of requirements that defined a computer architecture to support system virtualization (sometimes called the "Popek and Goldberg virtualization requirements"). Today, we find these guidelines just as revealing as they were 30 years ago. But Jerry did not stop there. After a sabbatical at PARC, he had the insight that, although the networked workstations communicated with one another and could share services, when users tried to use the computing environment as a system, the "seams" between machines became obvious. Jerry believed that those seams made using the workstations unnecessarily complicated. Based on this observation, Jerry was one of the first, if not the first, to use the word "transparency" in the context of distributed computing. Jerry said that each computing service should be provided in a manner that was "transparent to the programmer, the administrator, and, most of all, the end users." Jerry's system, the Locus Distributed Operating System, was the first modern cluster system implemented. The term "single system image" was coined to describe Jerry's concept: while the system was actually made up of different computers, each able to act on its own, the operating environment as seen by the end user was to be that of a conventional single-computing system. The USENIX Association honors Gerald Popek for his lifetime legacy of technical achievements inherited by all of us: we are far richer because of his work. The 2008 USENIX Lifetime Achievement Award ("The Flame") went to Andrew S. Tanenbaum for his many contributions to systems design and to openness both in discussion and in source. Andrew S. Tanenbaum has researched and written extensively on topics relevant to systems design and implementation. He has developed compilers, operating systems, and tools to help learn about, research, and teach important concepts. Multiple generations of engineers have read and learned from his books, which are to be found on the shelves of all serious computer science students and practitioners. We reference them often, since his lucid prose has clarified some of the most complicated ideas in systems. Andy has inspired healthy debate in our field, always focusing on what ideas are truly fundamental. He has long been a proponent of making everything open and available to all. Long before the terms "free" and "open source" were coined, he described computer science experiments as needing to be repeatable and transparent. He made his tools and technologies available in source, so we have been able to see what he and his team have done. 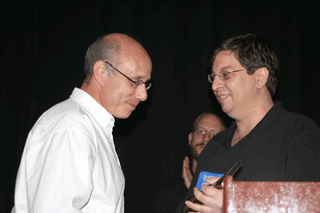 Peter Honeyman receiving the Flame award from Matt Blaze at USENIX Annual Tech '07, with former Honeyman student Niels Provos in the background. Dr. Peter Honeyman has had a profound and lasting impact on the field of computer science. While many know Peter for his seminal contributions to computing systems, such as Honey DanBer UUCP and Disconnected AFS, it is his efforts as a mentor that we wish to honor with the USENIX Lifetime Achievement Award. Peter's often highly unconventional stewardship of the countless students, researchers, and advisees he has touched is the stuff of graduate student legend. His penetratingly insightful (and potentially hazardous) questions and comments, combined with a paradoxically unflinching loyalty, consistently have led those under his tutelage to the pinnacle of achievement in security, systems, and networking. Peter's questioning during conferences and doctoral defenses, although sometimes frightening, always demanded better from those of us who attempt to advance science. We also wish to honor Peter's mentorship of the technology community: few people have so selflessly shared their time and counsel to ensure a lasting venue for high-quality discourse. In particular, his efforts as supporter and Board member have been instrumental in the birth, growth, and continuing success of USENIX. Peter Honeyman is the Scientific Director of the Center for Information Technology Integration (CITI), a Research Professor of Information, and an Adjunct Professor of Electrical Engineering and Computer Science at the University of Michigan. Peter holds the B.G.S. (with distinction) from the University of Michigan and the M.S.E., M.A., and Ph.D. degrees from Princeton University. With the 2006 Lifetime Achievement Award—“the Flame”—USENIX would like to recognize Radia Perlman for her many contributions to networking in routing (link state distribution), as well as in security (sabotage-proof networks). In particular, USENIX acknowledges Dr. Perlman's work in developing the spanning tree algorithm that is de rigueur in all LAN products in use today. She is currently a Distinguished Engineer at Sun Microsystems. Radia is the author of the textbook Interconnections: Bridges and Routers, and co-author of Network Security: Private Communication in a Public World, two of the top ten networking reference books, according to Network Magazine. She is co-author of RFC2902. Many people in our industry consider Dr. Perlman is one of the networking industry's most influential people. She has about 50 issued patents in the fields of routing and security. She was named Silicon Valley Inventor of the Year in 2004. Radia holds a Ph.D. in computer science and a B.A. and an M.S. in mathematics from MIT, as well as an honorary doctorate from the Swedish Royal Institute of Technology. Dr. Michael Stonebraker has been a leading database, operating systems, and expert systems designer, both as an academic and as an entrepreneur, for over thirty years. He is well known for his work in developing both the INGRES and POSTGRES database systems under a freely distributable BSD license, then going on to form companies (Ingres Corporation and Illustra Information Technologies, Inc.) to market them as commercial products. He also initiated the Mariposa project, which became the basis of another company called Cohera, later sold to PeopleSoft. All three of these projects were developed at the University of California, Berkeley, where Dr. Stonebraker served as a professor of computer science for 25 years. Currently Dr. Stonebraker is an adjunct professor of computer science at M.I.T., where he has helped build a stream processing engine, Aurora. In 2003, he founded StreamBase Systems to market this technology, with himself as CTO. He has authored and co-authored scores of research papers on database technology, operating systems design, and expert systems. 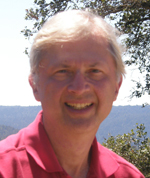 He has been active in the ACM Special Interest Group on Management of Data (SIGMOD) both as a member and a leader. He has a B.S. from Princeton (1965) and an M.S. (1967) and a Ph.D. (1971) from the University of Michigan. Dr. Stonebraker has also received several other awards, including the IEEE John von Neumann Medal in 2005, the ACM Software System Award in 1988, and the ACM SIGMOD Innovations Award in 1994. He was elected to the National Academy of Engineering in 1998. The goal of the Flame is to award those whose lifetime of work has made singular contributions to the UNIX community in both intellectual achievement and service. Seldom do these qualities come together so well in a single person. Often we think of achievement in terms of a product or a project or some research that has made a significant impact on the UNIX community. But unless this knowledge and experience is shared with others, it often lies dormant. The winner of the 2004 Flame Award not only contributed directly to the UNIX community with so much of his work, but also delved into computer security, graphics, cartography, storage allocation, and garbage collection, and even documentation techniques. His published papers include works in all of these areas, some done alone and some in conjunction with other authors whose names are well known to USENIX members. After his fifty years of programming and computer research, his Web page mentions that he once had the (and I quote) "good fortune to head the research department at Bell Labs in which 'UNIX' was born, and to work with some of the most creative talents in computing." He does not emphasize that he worked at Bell Laboratories from the time he finished his Ph.D. to what most people consider a normal retirement period, close to forty years. While others might in their retirement go fishing, play cards, or take up other recreational pastimes (as is their just reward and right), our Flame winner has chosen to teach at a relatively small New England College where (forty years ago this year) Dartmouth BASIC was born. And so he continues to inspire and transfer his knowledge to those who are willing to listen and learn. It was for these contributions to the UNIX community, to computer science in general, and to students everywhere that USENIX was proud to confer the Flame Award for 2004 to M. Douglas McIlroy. Awarded for implementing Serial Line IP (SLIP) and founding UUNET, thereby making the Internet widely accessible. In 1982 Rick ran the first international UUCP email link at the machine seismo (owned by the Center for Seismic Studies in Northern Virginia), which evolved into the first (UUCP-based) UUNET. He maintained "B" News (at one time the most popular Usenet News transport), wrote the first implementation of SLIP (Serial Line IP), and defined the first protocol for running TCP/IP over ordinary serial ports (in particular, dial-up modems). The SLIP protocol was superseded, years later, by PPP, which is still in use. Rick founded a nonprofit telecommunications company, UUNET, to reduce the cost of uucp mail and netnews, particularly for rural sites in America. (UUNET was founded with a $50,000 loan from the USENIX Association, which was subsequently repaid.) UUNET became an official gateway between UUCP mail and Internet email, as well as between North America and Europe. It hosted many related services, such as Internet FTP access for its UUCP clients and the comp.sources.unix archives. Rick spun out a for-profit company, UUNET Technologies, which was the second ISP in the United States. The for-profit company bought the assets of the nonprofit, repaying it with a share of the profits over the years. The nonprofit has spent that money for many UNIX-related charitable causes over the years, such as supporting the Internet Software Consortium. The for-profit ISP became a multi-billion-dollar company and was merged with MFS (Metro Fiber Systems, a wide-area optical-networking company), MCI, and then Worldcom, rising to challenge the largest telecommunications companies in America. He is co-author of !%@:: A Directory of Electronic Mail Addressing & Networks, published by O'Reilly Books. He is also co-author of RFC-850, the Standard for Interchange of USENET Messages, which was updated to become RFC 1036 in 1987. 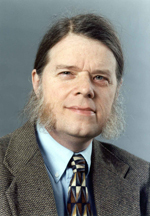 Awarded for his contributions to the UNIX and advanced systems communities, starting with early work on the Pascal P-System; the first UNIX EMACS developed at CMU on the pre-Internet Arpanet with a worldwide cast of collaborators who anticipated some of the open-source development methods that were to emerge later; his contributions to the X Window System by means of the CMU wm window manager and its network architecture that drove the development of the X Protocol; the NeWS window system developed at Sun Microsystems, and the architecture and development of the Java programming language and operating environment. Awarded for the ubiquity, breadth, and quality of its freely available redistributable and modifiable software, which has enabled a generation of research and commercial development. The GNU Project software tools have changed the way the computer world operates. Today it is difficult to imagine how most of us could do systems work without tools that originated with or derived from GNU code. Much wide-ranging research is based on GNU tools. And in the computing world at large, millions of us have benefited and continue to benefit from the hard work and insight of the GNU Project. Read the award acceptance remarks given by Robert J. Chassell at the 2001 USENIX Annual Technical Conference. Awarded for his contributions to the understanding of TCP/IP, UNIX and network programming, his teaching, and his involvement with USENIX. Stevens is being honored with this award for contributions to the understanding of TCP/IP, UNIX and network programming, extradordinarily lucid teaching, and his generous spirit within the community. Stevens passed away September 1, 1999, and his wife, Sally Stevens, his children, and sister Claire accepted the award on his behalf. Many books have been written about both TCP/IP and UNIX, but what makes Steven's books outstanding was his approach to writing. Rather than repeating information found in standards or documentation, Stevens researched the way system calls and networking protocols really worked. He would try his examples on at least four different types of systems, and he published the examples he used to explore these software systems, including over 10,000 lines of C code in just one book. His three volume work, TCP/IP Illustrated, was so complete and true to reality that it is used as a reference by members of the Internet Engineering Task Force, the group charged with creating and maintaining the standards for the Internet. Stevens was also a familiar sight on the tutorial circuit, where he also exceptional. His teaching was crystal clear, he was always patient with any questioner, and he never talked down to anyone. He made network programming accessible, even possible, to learn. Stevens was always there to lend support, to offer a bit of wisdom, and to be the person that cared when no one else did. His presence will be missed greatly. 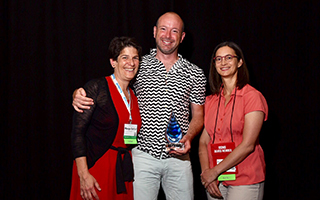 The X Window System Community at Large received USENIX's 1999 Lifetime Achievement Award which recognizes and celebrates singular contributions to the UNIX community in both intellectual achievement and unparalleled service. The citation says: "Presented in honor of a profound intellectual achievement and a unparalleled service to our Community." The following individuals are recognized as the Principal Recipients and Keepers of the Flame: Bob Scheifler, Jim Gettys, Phil Karlton, Ralph Swick, Keith Packard and Smokey Wallace. Tim Berners-Lee Awarded for "spinning the Web that has helped to transform the Internet into a fundamental part of everyday life and for his continued evangelism on its behalf," as inscribed on the original glass sculpture. Tim Berners-Lee invented the World Wide Web in 1990 while at CERN in Geneva, Switzerland. He wrote the first WWW client and the first WWW server, along with communications software defining URLs, HTTP and HTML. Brian W. Kernighan received USENIX's 1997 Lifetime Achievement Award. He is honored for "books that educated us all, for tools we still use, and for insights in the use of language as a bridge between people and machines," the words inscribed on his "Flame" trophy. The 1996 Lifetime Achievement Award was presented to Dennis Hall, Deborah Scherrer, and Joseph Sventek (then all at Lawrence Berkeley National Lab), the founders and major participants in the Software Tools Users Group "to honor profound intellectual achievement and unparalleled service to the community." The award notes "Before the general availability of Unix, the Software Tools project popularized a new vision of operating system software, offering a bridge to portability and power for those beleaguered by limited, proprietary operating systems. With its extraordinary focus on building clean, portable, reusable code shared amongst multiple applications and runnable on virtually any system, the Software Tools movement established the tradition of empowering users to define, develop, control, and freely distribute their computing environment." Brian Kernighan and P. J. Plauger were highlighted as originators and key inspiration. A certificate accompanying the award listed 66 other major contributors. At the USENIX Technical Conference in New Orleans, the third Lifetime Achievement Award was presented to Tom Truscott, Steve Bellovin, and Jim Ellis for their work in creating USENET, announced exactly 15 years previously at the USENIX Conference in Boulder, Colorado. The award also honors the thousands of participants and supporters who have contributed to USENET over the years, and who are far too numerous to name. In 1994, the award was given to Michael Lesk for inventing UUCP, and Van Jacobsen for his work on making TCP "Industrial Strength." The award was first presented in 1993 to The Computer Systems Research Group, honoring 180 individuals for their contribution to the CSRG effort.